We all want our children to grow up in safety, but unfortunately it is not a perfectly safe world that we are raising our children into. 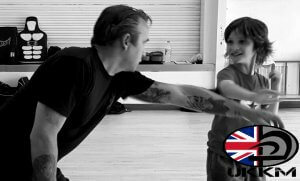 Here at UKKM we understand that children need to be trained in self defence. We also understand that children need to be trained with a different approach than what we would use to train adults. 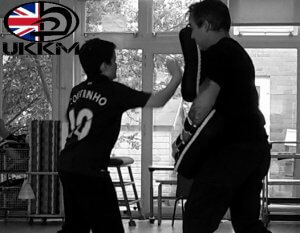 This is where the UKKM Kids Krav Maga Programme comes into play. The physical and mental abuse that some children are faced with during their junior years by school yard bullies, can if unchecked, have a life long effect. It can leave them frightened and unwilling to attend school. Or to leave the house to socialise with others. Even if they still attend school through this torment their education suffers as they become overwhelmed with fear of what may happen to them at playtime or the journey home after school. They become to frightened to tell their parents or teachers about what is happening, often becoming reclusive, now their social interaction skills begin to fail alongside their education. As their social skills fail it turns into a lack of self confidence and low self esteem. This mixed with a failed education leads to low grades, losing them the college or university places you had dreamed of for them. The same also means it will become hard for them to obtain a career or employment of any kind due to their inability to interact within interviews. Anxiety and depression take over which can lead to further reclusiveness or anti-social behaviour. The little school yard bully has now lead to life altering effects. Its a shame that we can hardly go through a week without hearing through the press or social media about child assaults, or child abduction by and adult. The horrors of which I don’t want to think about or write here to remind you. But we all know they exist. A small child is never going to stronger than an adult, but a small child that has learnt a instinctive reactive technique can use that to create an avenue of escape. 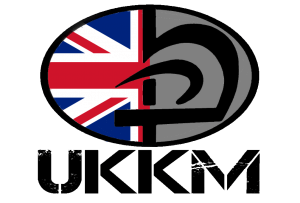 The UKKM Kids Krav Maga programme has been designed specifically to work with children and enhance their training potential. Children are taught first and foremost how to try and de-escalate a situation without resorting to violent means from a protected position. We train them to stop the trouble as it starts, not to let it grow. But of course we will also teach them how to defend themselves should a violent attack take place. We teach your child what they need to do to get themselves to safety. As your child trains with us you we notice the changes your child goes through. Though we take your child’s training seriously we also make it fun for them to learn, some learning can be hidden behind the use of specialist games that promote instinctive reaction, learning without realising, and having fun at the same time! Your child is now having fun. Socialising with other children in the class. Growing in their confidence, and keeping fit and healthy at the same time. School work improves due to lack of worry.